You’re looking for a new pair of sunglasses, and you want that classic look. But here’s where the dilemma begins. The two most well-known vintage-style sunglasses are the Ray Ban Wayfarer and Aviator – and they’re both just that – too well known. They’re classics, but if everyone from your dad to the hipster kid on the bus is wearing them, you might want to find something a little more unique. There are plenty ofstyles out there with the retro revival going on, but if you’re looking for something a little different, it’s difficult to know what to go for. So, here’s our pick of the five best vintage sunglasses that aren’t Wayfarers or Aviators. 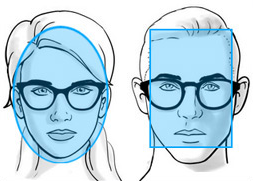 These are the famous browline-style glasses that have been popular since the 50s, as they can give anyone that effortlessly cool Rockabilly look. Half of all glasses sold in the 50s were in this style, and they’re gaining popularity once again, as Ray Ban have put a modern spin on this vintage classic. It’s a look the A-List love, and both Beyonce and Robert Pattinson have been seen sporting them recently. The Clubmaster’s design blends a metal nosepiece into the browline, and the collection includes a good range of colours in bothplastic and metal rims. Arguably, the most stylish pair in the Clubmaster collection are the gold and tortoiseshell sunglasses, which are available here. Carrera Champion sunglasses optimise that classic 80s on-piste/off-piste look. However, they look fabulous whether you’re on the slopes, relaxing in the VIP section of the Indianapolis Motor Speedway, or sunbathing in your garden. The Carrera Champion collection includes plastic frames in a huge amount of colourways – everything from black/red to violet/white to tortoiseshell. So if you want frames with that 80s retro edge, these are a cut above everything else on the market in both look and quality. 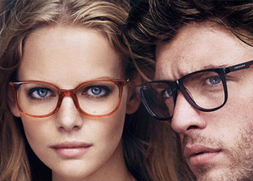 Carrera use Optyl plastic to make their frames, making them anallergic and lightweight with a memory-effect for comfort. If you’re looking for a pair of Carrera Champion sunglasses at a bargain price, check out our collection now. You know that ‘John Lennon look’, with the round, metal framed glasses that are once again gaining popularity? Well, these are the sunglasses that create that look. Lady Gaga and fahionista Mary-Kate Olsen have both been pictured in them recently, but this vintage-chic look is great on anyone – if you’re willing to make a statement. Ray Ban Round Metal sunglasses come with a good selection of fames and lenses, so you can go Lennon with gold frames and green lenses, or Gaga with matt black frames and grey lenses. Check out our collection of cheap Ray-Ban Round Metal sunglasses by clicking here now. This Armarni number epitomises that Jackie O look –big, bold and beautiful. Popular since the 60s, largeplastic-framed sunglasses are favourites with the A-List today, and the 9703/S range exude glamour. The wide, round frames and dark lenses are also perfect for blocking out the glare of the paparazzi’s cameras (or, y’know, the sun), and the straight arms have a strong, powerful air to them. To check out our collection of cheapEmporio Armani sunglasses in a wide range of colours, click here now. 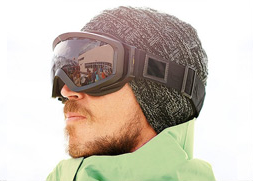 These glasses embody sports-chic, but with a powerful twist. They’re a blend of the classic Carrera Champion glasses and the aviator style, producing a sleek metal frame, with a strong browline and slightly larger lenses than you’ll find with the classic Ray Ban Aviator. 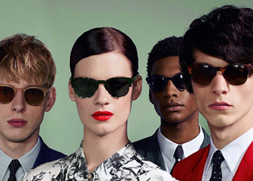 Consequently, Carrera 1 sunglasses are flattering for virtually every face. If you like the sound of Carrera Grand Prix 1 sunglasses, you can grab a pair at a bargain price by clicking here. So there you have it. Five vintage sunglasses that are just a little bit out of the ordinary – perfect for making a statement, orif you’re looking for a classic pair of frames that will last as long as you do.